Starchild produce gorgeous soft sole leather shoes and slippers for babies, children and adults. The shoes and slippers are colourful and fun but practical too. Each pair is lovingly hand-made in England in a traditional shoe factory. There is a huge choice of designs available for both boys and girls which is nice to see, usually I find there is much more choice and colour for little girls but I would say it is evenly matched here. They are all gorgeous. The shoes are designed to let children’s feet breathe and grow naturally. They have a non skid suede sole that is great for introducing baby to bouncing, crawling and walking. The sole is also perfect for children who are walking especially if you have wooden or tiled flooring. The shoes are easy to slip on and stay on really well thanks to an elasticated ankle which means little ones can’t kick them off as they would with other similar products. You can buy products for babies, toddlers, children and adults on the website, there are also gift sets and accessories available. 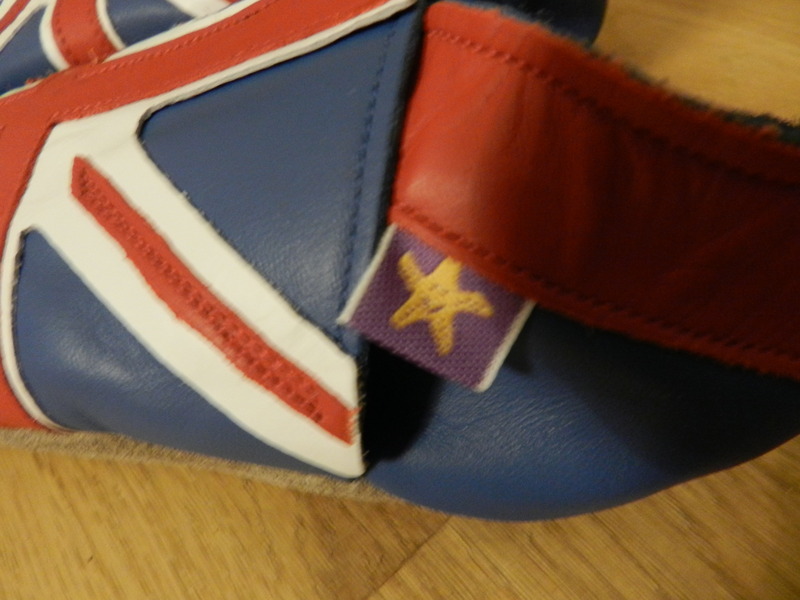 We reviewed the Union Jack Navy shoes from the boys age 2-10 category. The shoes arrived in a small see through re-useable pvc bag which I thought was nice as you could see the design straight away. 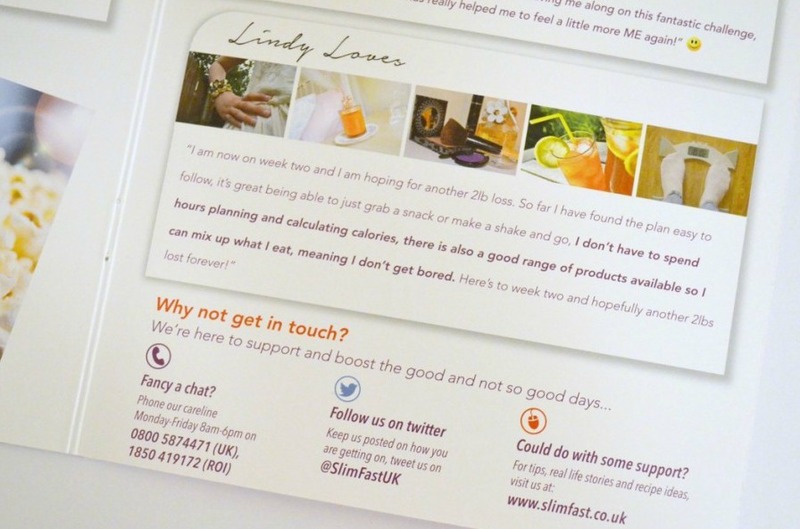 The shoes are colourful, fun and finished to a very high standard, I was very impressed. Maxx immediately loved the shoes and said they were very cool and comfortable to wear. He has barely had them off his feet in the house and loves wearing them, I think it’s nice that his feet can grow freely in the shoes and that unlike hard leather shoes his feet aren’t restricted. We have been using the shoes indoors as slippers as Maxx finds them comfortable to wear and they keep his feet warm. 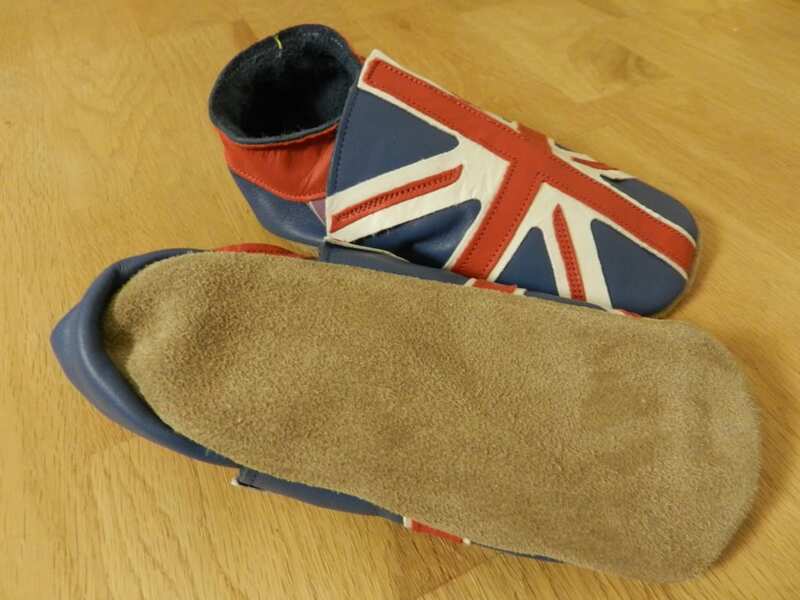 I much prefer them to conventional slippers as they stay on his feet, he has had a problem with slippers flip-flopping off his feet in the past which has made him frustrated and he refused to wear them. However It’s essential that he has something on his feet in the house as we have cold tiled flooring in the kitchen. Overall I think the shoes are lovely, they are unique, fun and in my opinion value for money. Maxx has had the shoes for almost a month now and has been wearing them indoors and occasionally going into the garden with them. They still look fantastic and Maxx still loves them which is the main thing. If you are looking for something a little different than conventional slippers I would highly recommend Starchild shoes. 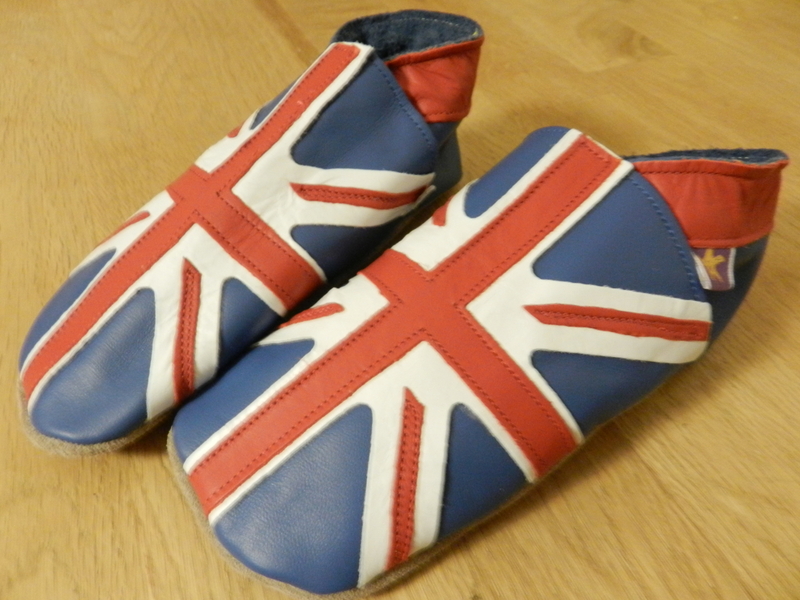 The Union Jack Navy shoes are priced at £20 and make a lovely unique gift. Ordering shoes online can be risky with little ones, their feet grow so quickly and you want to make sure you get the right size. 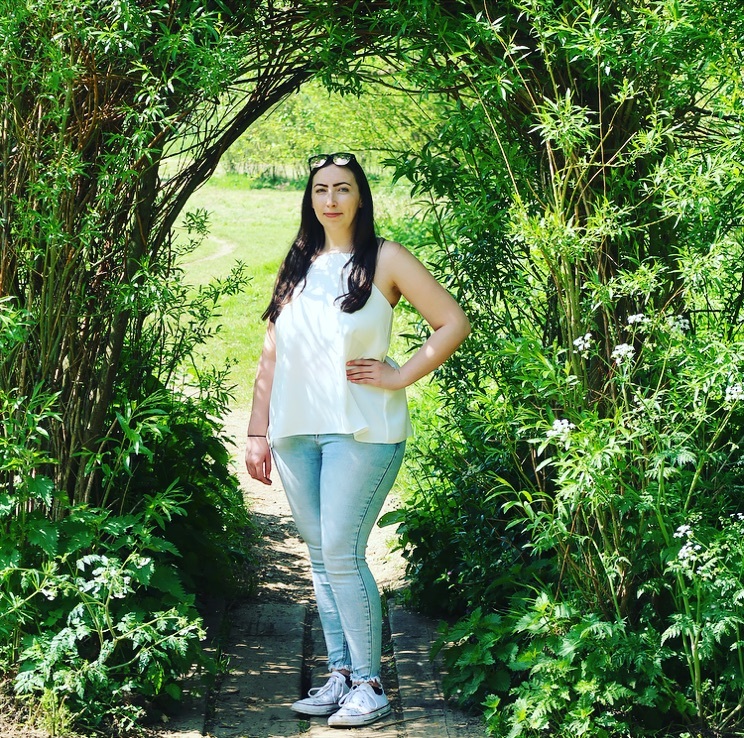 Starchild have cleverly provided a downloadable sizing guide on their website so you can check your little ones size and order with confidence. You can find out all you need to know about Starchild shoes and slippers by visiting the website here. This soft leather shoe looks like it would be comfortable, for a little one taking their first steps.